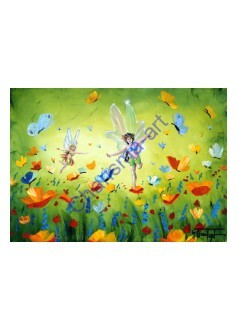 Fairies In the Meadow PRINT Butterflies, happy poppies, sunshine, and a touch of magic lets flowe..
Frog Princess PRINT You never know what you'll get when you kiss a frog - but, chances are, it wi..
Lass of Legends PRINTS Irish highland lass sheep art prints on paper and canvas by Conni Tögel E.. 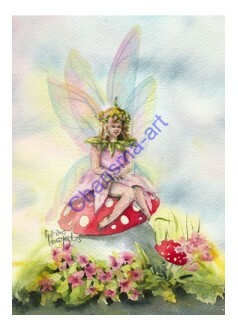 Sitting Pretty Fairy PRINT A little flower fairy girl, just sitting around looking pretty. 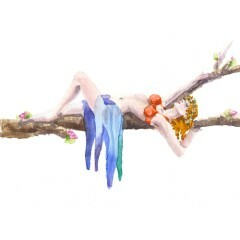 My kid.. 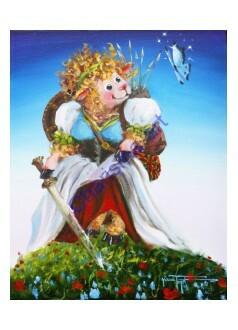 Sleepy Fairy PRINT by Conni Tögel - one of my early works, before sheep happened, and landscapes flo..